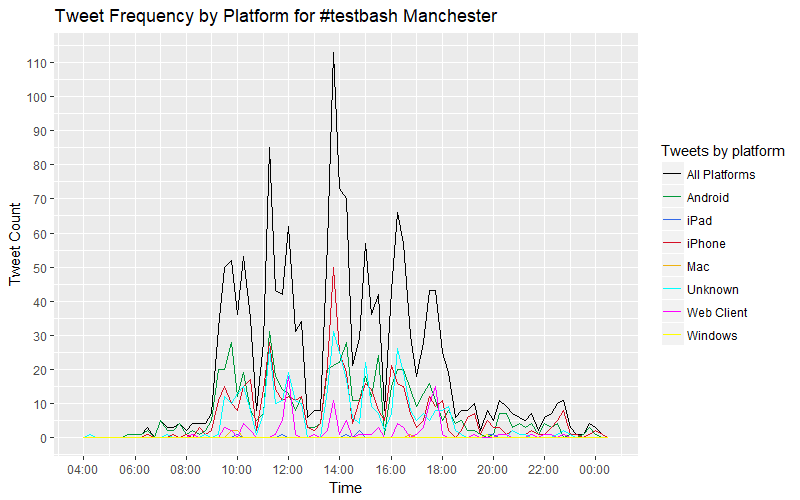 It's been a month now since I attended Test Bash Manchester. I heard two very powerful talks at that conference which have been swishing around in my brain for a while now. Both talks came from speakers that shared a desire to advance the craft of testing. The first talk was by Martin Hynie (@vds4), currently Director of Test Engineering at Medidata. The second talk was by Michael Bolton (@michaelbolton) a tester, collaborator, coach, consultant, author and Twitter super star. Martin's talk "The Lost Art of the Journeyman" and Michaels talk "Where do you want to go today? No more exploratory Testing" both invoked the same feeling in me. Change is still very much needed when we are talking about testing. Martin said that only by identifying entrenched beliefs can we find opportunities for change. He explained that one of these entrenched beliefs is what "testing" means. So to invoke change we need to approach from the same side as someone that doesn't understand testing. 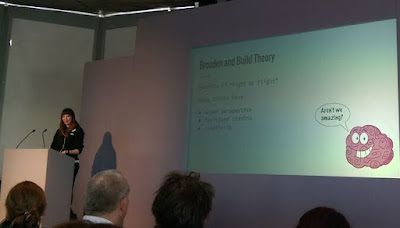 Both speakers talked about testing being a craft. Martin went a step further and said that testing is not a commodity. I still frequently see testing treated as a commodity by people which do not work as testers. I get embarrassed when people believe smart self directed testing is of equal value to scripted testing. It's also very hard being the person trying to explain that someone's beliefs around testing are hindering and causing damage to a project. The belief that all testing is equal is one of those entrenched beliefs Martin told us to be mindful of. Michael Bolton sums this up on his blog where he says scripted testing is expensive, time consuming, leads to inattentional blindness. Separating the designing of a test script from its execution in turn lengthens and weakens the feedback loop. Michael told us that scripted testing makes testers incompetent as they are not empowered to think. As someone doing self-directed testing without a test script it can be very easy to criticise testers that write and work from test scripts and test cases. I have worked with financial institutions which rely heavily on scripts. I have met and spoken face to face with testers that work in this scripted way. Seeing things from their point of view I discovered some of the constraints they have to work within. They are not empowered to throw the scripts away. Management want them to work in this way as it is easy (yet foolish) to measure testing with numbers and stats. When I worked in the UK games industry, I was lucky that I was able to do testing without scripts, but I was still not empowered. I was stuck behind a wall with many Devs throwing any code they wanted over the wall at a small group of testers. If bugs got missed, that was the testers fault - not the fault of a dysfunctional way of working. Michael spoke about how the definition of testing had been stolen from testers. Now testing meant something completely different to people outside of testing. He said that the testing community needs to steal the definition of testing back. What is Your Definition of Testing? I have recently started asking some of my developer friends the following question: 'What is your definition of testing?' Some of the answers have shocked me! The first Dev I asked said 'testing is ensuring quality'. I had to try explain that this wasn't entirely true. Testing is an activity that evaluates something (which could be anything) to find problems that matter. The discovery of those problems could have very little to do with ensuring quality if no action is taken once they are discovered! My challenge to other testers would be start asking people you work with for their definition of testing. Start getting a feeling for how closely your ideas of testing are aligned. Just because you are using the same language does not mean that you are talking about the same things. Do not make the mistake of assuming everyone's idea of testing is the same. Michael wanted us to return to using the word testing (not exploratory testing - which he said was like calling a cauliflower a vegetarian cauliflower). Martin wanted us to change the language we use for describing testing and testers. At an open space event on Saturday 28th October 2017 a diverse group of testers sat around a table and openly discussed the testing role. Specifically the language used to describe that role. One thing became very clear very quickly - The language and definition of testing are certainly not shared between testers and non-testers. Even some testers present had slightly conflicting ideas. We certainly have a lot more work to do in this area. Patrick Prill (@TestPappy) said that he knows people called tester but what they are doing does not match the job ads. Recruiters are have a very hard time when it comes to describing job roles. Instead of hiring testers, maybe we should be hiring people with critical thinking skills. Maybe the best testers aren't actually testers yet? At the open space gathering it became clear that recruiters can be blind to what testers do. Both Neil Younger(@norry_twitting) and Martin Hynie shared their experiences of pairing with a recruiter. Essentially working together to identify good/bad candidates and the reasons why. Both had positive outcomes from the experience of a recruiter and a tester pairing up and working together. The first thoughts that went through my head was what is an 'Automated Tester'? Automation is a development task. 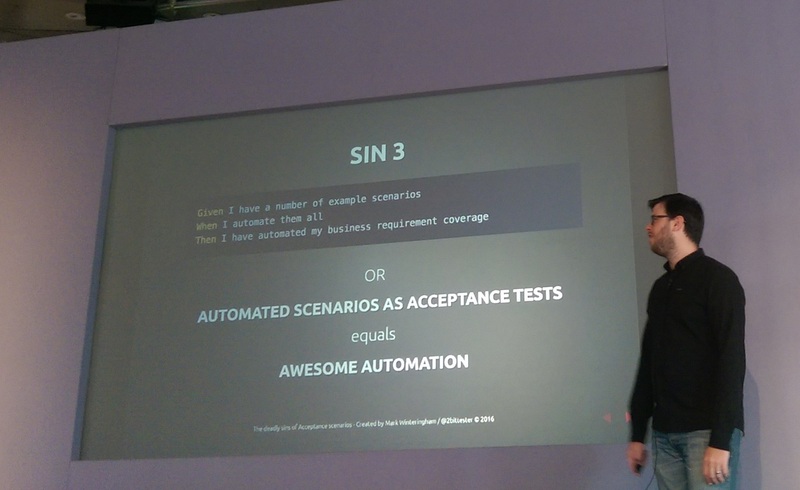 There is no such thing as automatic testing. Automation is dumb, it can not direct itself, it can not explore or think. Further to that, automation in testing should be the responsibility of the whole team, not a single specialist. By putting the responsibility of an automation project on the shoulders of just one person you are heading for disaster (see the term bus factor). A Keyword CV Search is Simply Not Enough. When hiring testers, a keyword search on a CV is simply not enough. This comes back to a need to realign the language we use to talk about testing in the context of 'that thing testers do'. As well as starting conversations with people we work with about the definition of testing. I believe testers also need to start sharing information with recruiters. This was one of the reasons I was very keen to write and share an article with a recruitment blog. 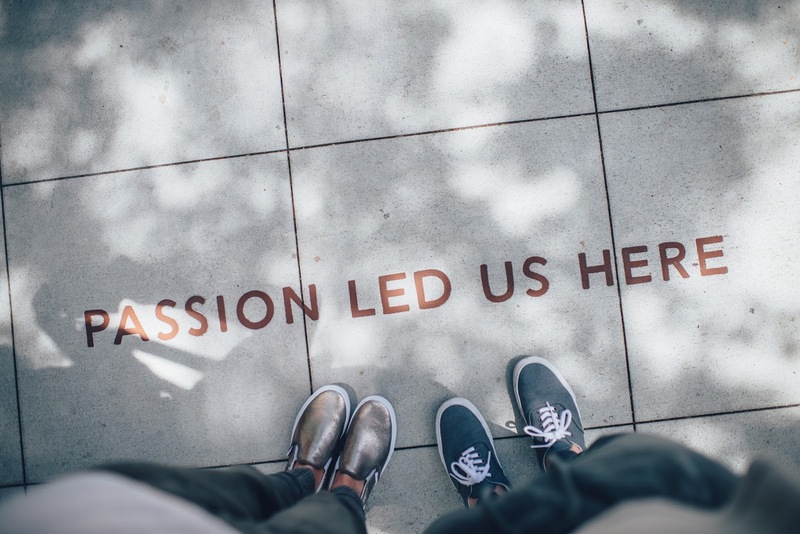 By sharing understanding and knowledge around testing skills and testing work with the very people that are trying to hire us, we not only make things easier for the people trying to hire, but we also make things better for people (like us testers) trying to get hired. 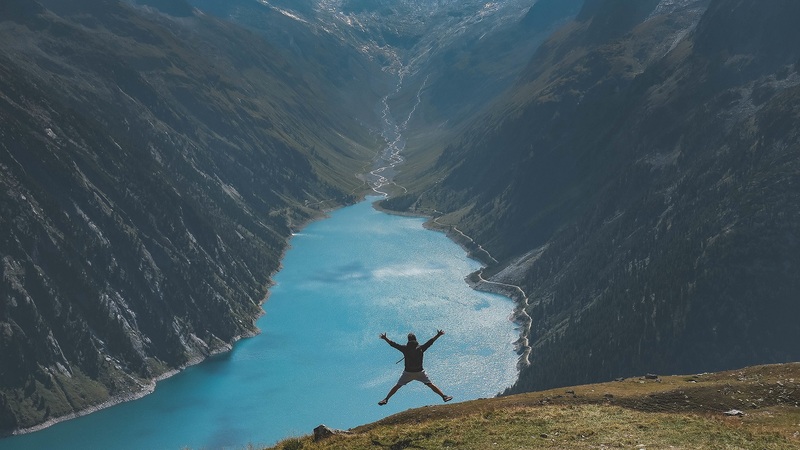 If my job suddenly switched from software tester to recruiter these are some of the things from my experience of testing and testers that I would take with me when trying to specifically recruit testers. Stop filtering out testing candidates based on certifications. ISEB/ISTQB really is not a good filter for testing candidates. When I surveyed 187 testers in 2016, only 48% had completed ISEB/ISTQB foundation certificate. I do not hold this ISEB/ISTQB qualification. Some of the brightest smartest testers I know also do not hold ISEB/ISTQB qualifications. There is a big difference between being able to learn answers to some multiple choice questions and test software. By demanding this qualification you will also probably alienate the kind of people you want to attract. Smart testers know these qualifications exist for profit to make money. Everyone these days puts agile on a CV, this does not mean they are agile. Ask them about a time they changed their mind or changed course. Ask about some experiments they have done within a team. Ask about a time they collaborated or paired with another team member. Ask how they eliminate wasteful testing documentation. There are no automated testers. Automation is its own development project and should be owned by the whole team. It is possible for someone that can automate (e.g. write code that checks things) to not understand what should be automated. Writing code is a different skill to being able to decide what that code should do. Acknowledge that there is no manual testing. There are no manual testers, there is only testing. Trying to divide testers into two groups of manual and automated is a big mistake. Please stop calling testers manual, we don't like it and it damages our craft. If instead of labels we focused on hiring candidates with the ability to think critically and solve problems everyone would be in a much better place. I was very fortunate that I was able to attend my second ever Test Bash in Manchester. This year was better than last year as two of my co-workers (Hannah & Jack) came along for the ride. I got so excited seeing them get excited! I spent most of the conference day scribbling notes again. However unlike last year where I mostly wrote text in a pad. This year I had plain paper and used coloured pens. At the open space the following day it was really nice to have my notes from the conference day to hand. In the days following the conference these visual reminders really helped important ideas stick in my head. I sent all my visual notes up into the Twitter-verse as they were completed. List of tweets below. The word clouds above can be clicked for a larger image. 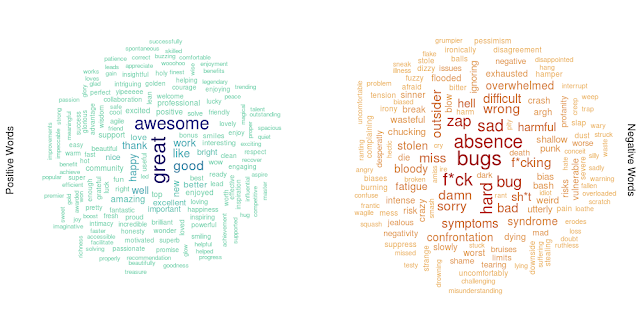 The first thing I noticed after generating some positive and negative word clouds was that the positive cloud was bigger than the negative cloud. 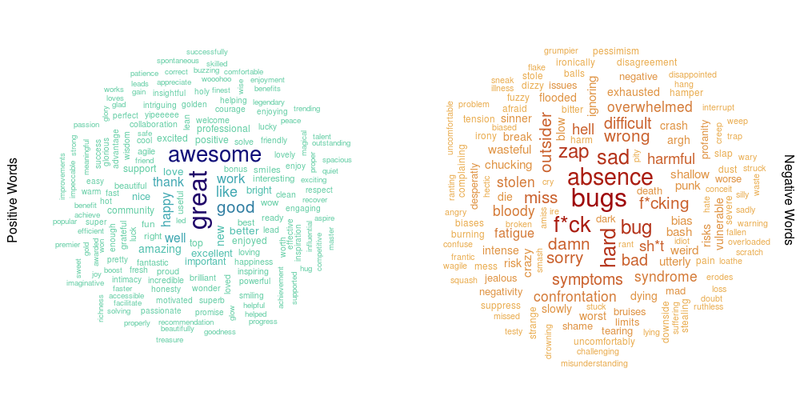 173 unique positive words and 125 unique negative words were identified in the conference day tweets. The conference was a resoundingly positive event! It didn't surprised me that the word 'Great' was at the center of the positive word cloud. 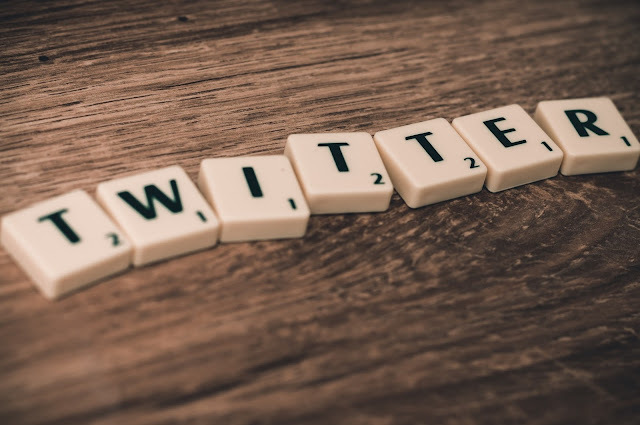 Having done this kind of text crunching a few times now I've learned that 'great' and 'talk' are generally two of the most common words tweeted at conference events. What did surprise me though was the negative word cloud. 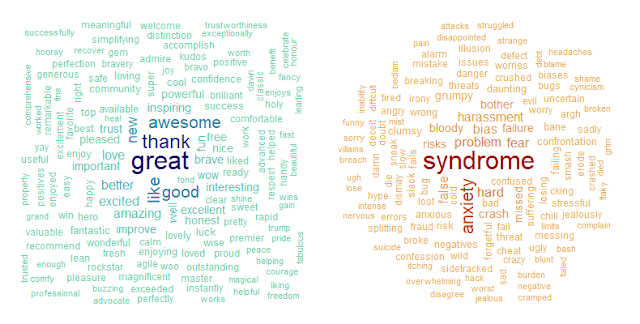 Right at the center, the most frequently used negative word 'syndrome' closely followed by 'anxiety'. Claire Reckless & Gem Hill spoke about imposter syndrome and anxiety. Both these talks had a huge impact on the Twitter discussions which were taking place on the day. 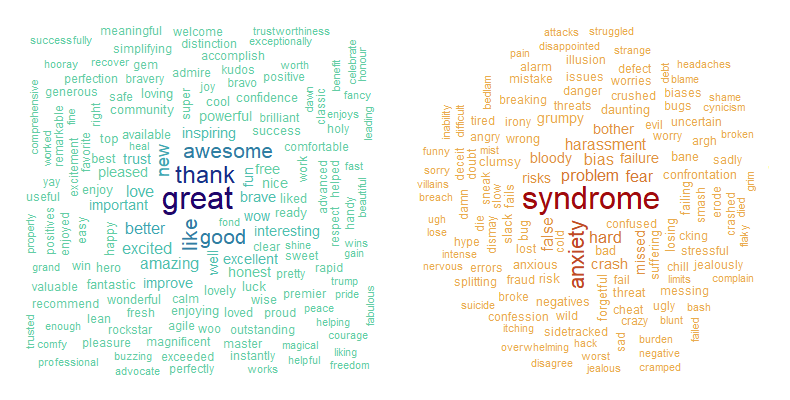 Getting the testing community talking about imposter syndrome and anxiety, even though the words used carry negative sentiments, is a very positive outcome. Like, seriously, wow. 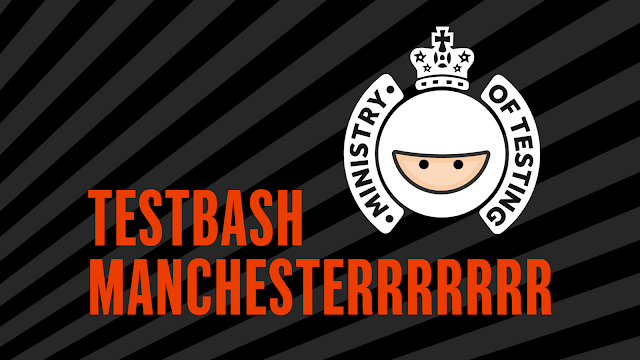 All the attendees of #TestBash Manchester today, you all rock, wow, thank you all. Blown away. The tweet with the most negative sentiment on the day was this one from Dan Billing. 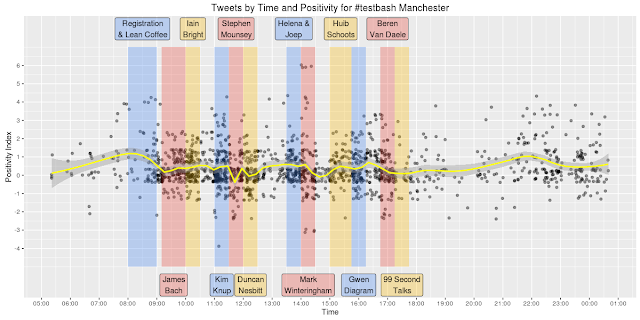 I plotted all the tweets by time and positivity then fitted a loess curve through the points on the scatter plot. The first thing that really stood out was that one tester was up, awake and tweeting a picture of the venue at 4:17am?!? Reason for the dip is related to tweets about bias. There was another dip in positivity just after 16:00 so I checked those tweets too. Again, nothing negative was happening, the dip in positivity was caused by the discussion of a subject which has a negative sentiment. I plotted a frequency polygon broken down by platform to see which parts of the day people engaged the most with Twitter. Again the image below can be clicked for a larger version. It was very interesting to see how frequently people were tweeting through out the day. The spikes in activity align very closely with the start of each talk. It was also nice to see people taking a break from using twitter on mobile phones over lunch (hopefully this is because real face to face conversations were happening over a meal). The biggest spike of activity happened immediately after lunch time was over during Vera Gehlen-Baum's talk "Turning Good Testers Into Great Ones". It was a pleasure connecting so many wonderful people at this event. The mix of new faces and familiar faces was fantastic. Test community is the best community ♥ Hopefully see you in Brighton next year! 2017 has been a stressful year for me so far. I bought a really ugly flat in February, then found myself with two months to make it habitable and move into it. 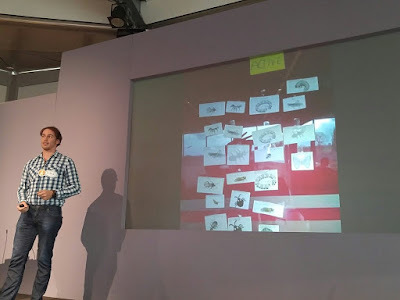 While frantically arranging appointments with trades people and deliveries of essential things (like carpet and furniture), a call for speakers came up for the Agile North East Lightning Talk competition. I was already so stressed out from trying to move house, the stress of giving a talk felt insignificant by comparison. So I decided to throw my hat into the ring and enter the competition. "Testing software is hard. Hiring good testers is hard. Some testing jobs are set up in such a way that testers can never succeed! If you have good testers in your organisation the last thing you want to do is drive them away. I'm going to tell you how you can help your testers succeed and enjoy the many benefits that happy testers can bring to a team." 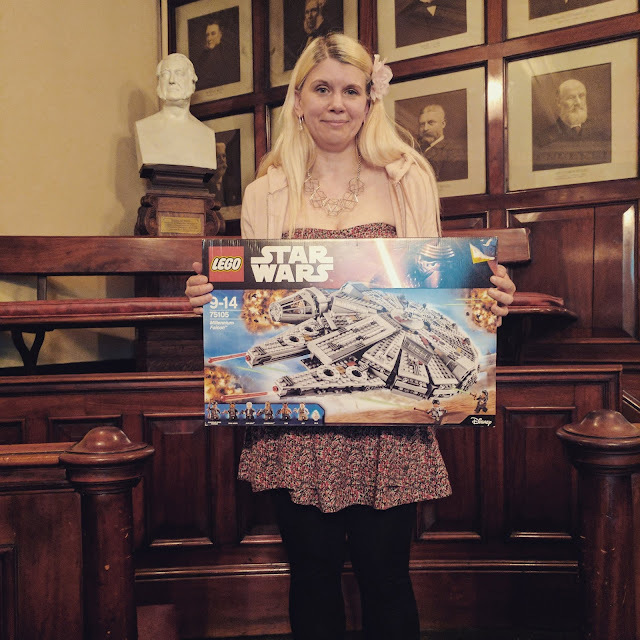 I found out a few weeks later that my proposal had been accepted and I was in the competition! I now had an 8 minute slot in front of a captive audience of people which shared an interest in Agile development. I knew straight away that I was going to have to make each minute count. I wanted to use the opportunity to try raise awareness of the problems software testers face. I wrote my slides and practised a little bit with a timer to see how much information and advice I could actually jam into 8 minutes. Turns out an 8 minute talk is actually quite a tricky duration to handle because you don't have enough time to get into really detailed explanations, but its long enough that you do have to start explaining concepts. The day of the talk arrived and I got to the venue about an hour before the event was due to start. 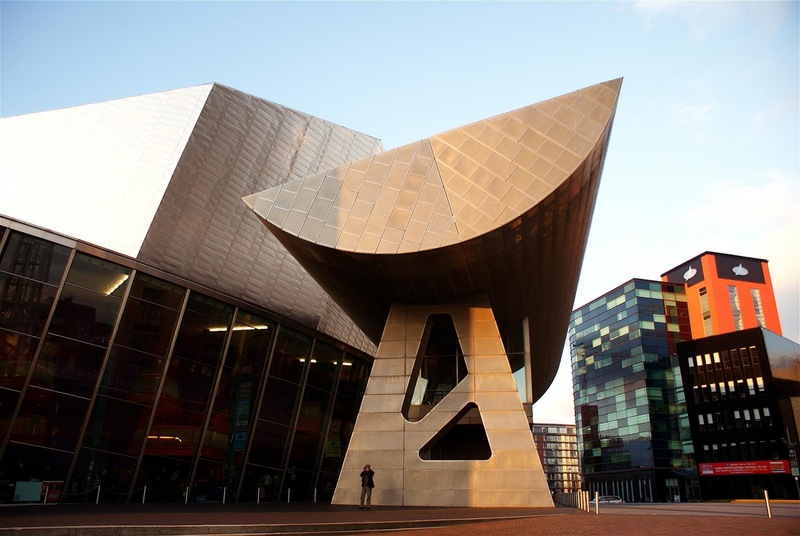 The building chosen for the event was a historic listed building, the Northern Institute of Mining and Mechanical Engineers. I was able to scope out the 1895 lecture theatre where the talk would be taking place, see where I would be standing, where the audience would be sitting etc. This really helped reduce some of the stress and nervousness I was feeling on the night. I was very thankful that some of my friends and co-workers were able to come along to the event. Having a few people there that I knew genuinely wanted me to succeed made the task of speaking mentally easier for me to cope with. I checked with the event organiser that I would be able to make an audio recording with my smart phone and was told this would be fine. I have been trying to record myself every time I speak so I can listen to myself afterwards and find ways to improve. My lightning talk, "How to Help Testers Succeed" is now up on YouTube. 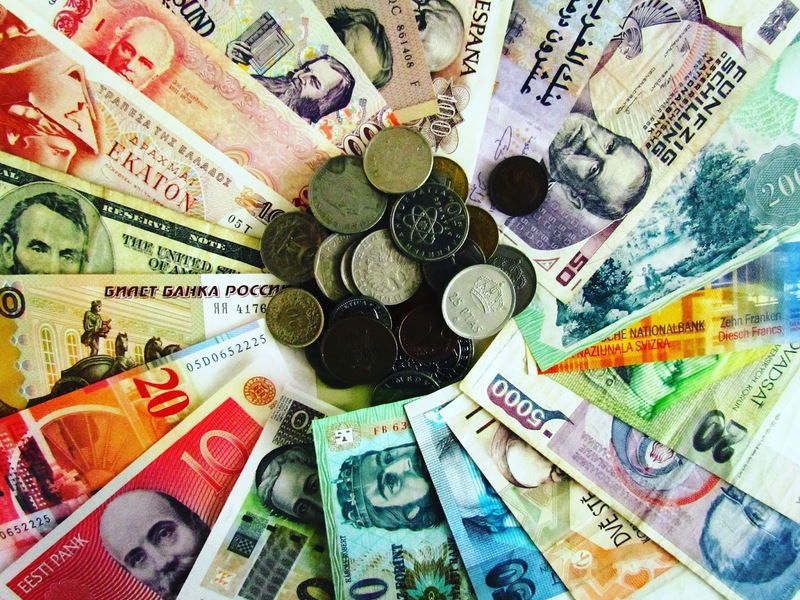 For the last 18 months I have been testing software designed to trade foreign currency, known as FX or Forex trading software. I consider myself lucky as I joined the project on day one which enabled me to learn a lot about testing trading systems. At the start of my current project, I found very few resources available for testers covering complex financial systems. The few resources that I was able to find were quite dated and generally advised to write detailed plans and document all tests before executing them. I simply couldn't find any information about approaching testing of financial systems in a modern, agile, context driven way. I was very fortunate on my project that I was able to implement testing with agility and focus on risk. Long checks historically done manually by human testers were replaced with good automated integration test coverage. The team also chose to release to production as frequently as possible, usually once a week. Not having to constantly repeat manual checks of existing functionality gave me time to do a LOT of exploratory testing. Almost all the really bad bugs, the ones with financial consequences, were found during exploratory testing sessions. Given the high level of exploratory testing I was able to do on my project, I generated a lot of ideas and identified some high risk areas and common mistakes. I have decided to put together a heuristic testing cheat sheet for anyone carrying out exploratory testing of trading software. 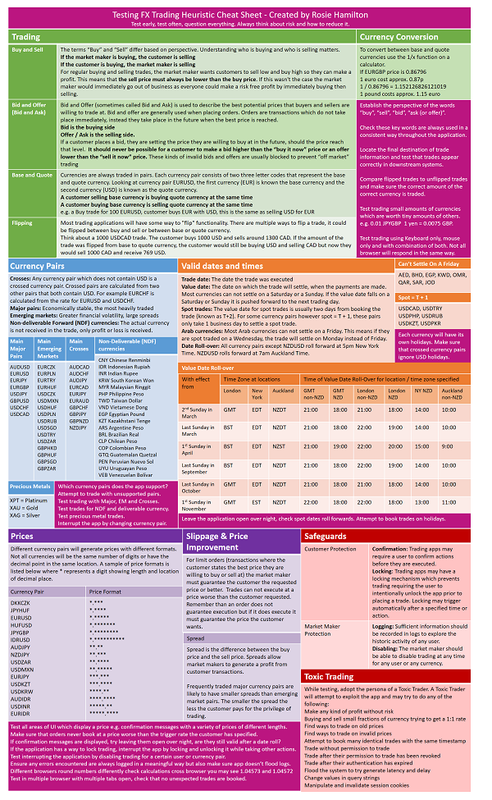 The full size version of my FX trading heuristic testing cheat sheet can be found here. I wanted to combine my knowledge of trading with some of the ideas I generated. On the sheet my ideas are written around the knowledge in magenta coloured boxes. I hope this may be useful to anyone working on trading software. This is a follow up on my earlier post about learning how to give a technical talk. I did it! I gave my talk! The feeling of euphoria afterwards was overwhelming and I think I might still be buzzing from the experience. I wanted to write a mini blog post to say a massive THANKYOU to everyone that came along to the Newcastle Testing meet up on 1st November. It was good to see a mix of both familiar and new faces. Also thank you to Russell & David for organising the evening and thank you to sponsor Sage for providing a steady supply of beer and pizza. There are a couple of links I would like to share. It felt like the talk went better this time than the previous time I gave it. I know the free beer definitely helped suppress any feelings of anxiety and fear. Look forward to hopefully seeing you at the next meet up! 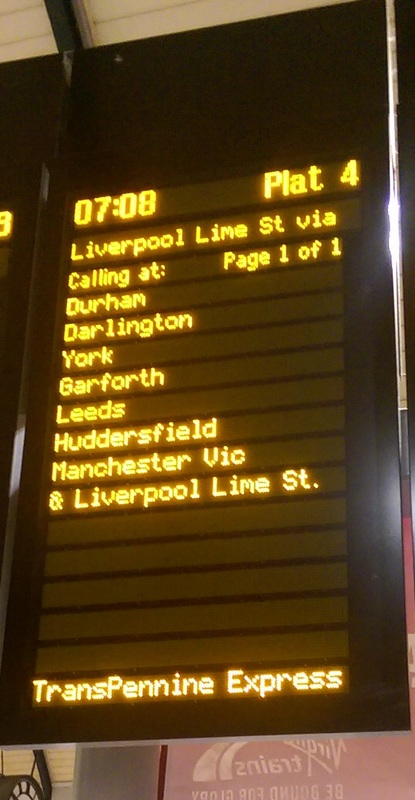 Usually Test Bash events in the UK are held in Brighton making them a bit inaccessible to people living in the North. However this changed on Friday 21st October when I was lucky enough to attend Test Bash Manchester, a software testing conference held at the Lowry in Salford Quays. 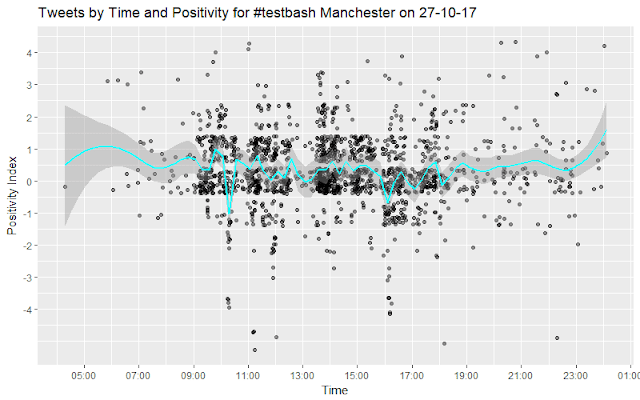 Organised by Richard Bradshaw @friendlytester and Rosie Sherry @rosiesherry, this was the first time a Test Bash event had been held in the North West. 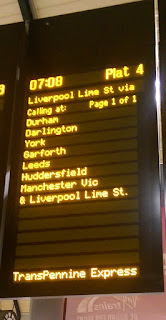 I woke up bright and early at 5:30am Friday morning and made my way to the station to catch a train to Manchester. Travelling on the day of the conference unfortunately meant that I missed the first speaker, James Bach @jamesmarcusbach. I was however able to catch the live tweets taking place during his talk about critical distance and social distance. There were some interesting slides. Sadly I had not heard the term 'critical distance' before and Google only revealed a reference to an acoustics calculation. I found because I had lack of context and was missing a definition this made the slides cryptically undecipherable. I heard the talk was very good, but I am really not in a position to be able to comment on it. I arrived at the venue just in time to sit down and listen to the second talk. The main thing I took from this talk was that when encountering resistance in the workplace to keep asking "Why not? ", in a loop, until no more objections exist. I have heard of this tactic before in sales environments to handle customer objections. I did feel that the message within this talk could have been stronger. 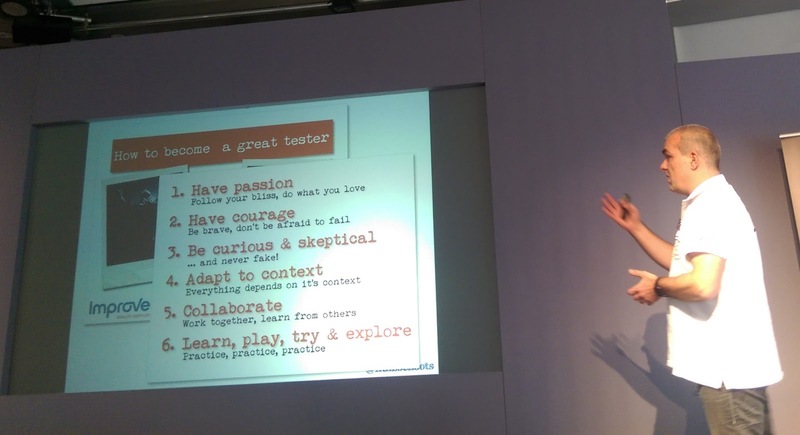 Credit to Iain however, it takes guts to get up in front of a large room of your peers and deliver a talk. 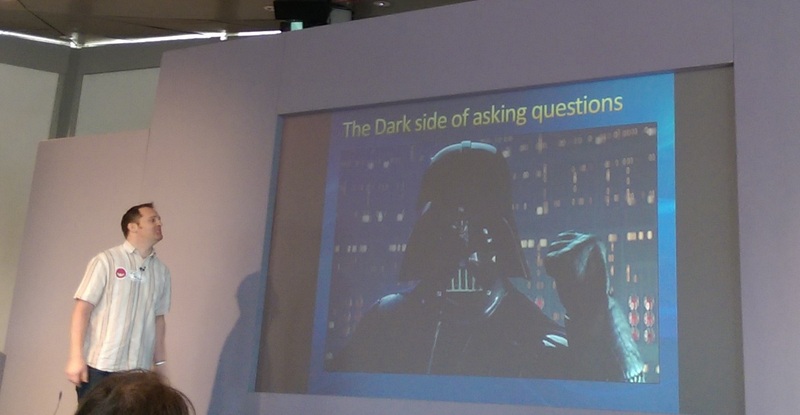 I really liked his slide with Darth Vader on it that described the dark side of asking questions. Kim's talk really connected with me. She said that as humans we were all hard wired to look for negativity because recognising it was a key survival mechanism. She spoke about the testing wall and throwing things over it. The word "Wagile" was used and how this usually resulted in lots of overtime work for testers. Kim explained how her testing job had made her start hating people and this negativity had manifested into the act of logging as many bugs as possible. Essentially in Kim's job software development had turned into a warzone. Her description really stirred a lot of memories of the games testing I did in the early days of my career. Kim mentioned that during these dark days her record was 102 translation bugs logged in one day. This was very impressive, higher than my personal best of 63. Kim told us not to start the day by complaining and explained that happiness gives us an advantage because Dopamine invigorates the brain and turns on learning centres. She went on to explain that being grateful for three things a month can help re-program our brains so that they are more likely to scan for positive things. Happy brains have a wider perspective, increased stamina and creativity. 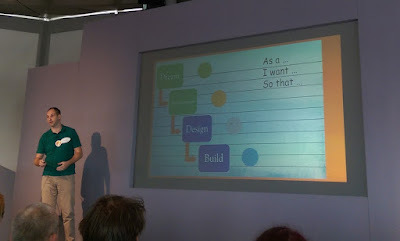 A thoroughly enjoyable talk that left me feeling very positive about testing. Stephen set about trying to prove that we don't listen hard enough. He asked us to listen and then to really listen. We eventually heard the sound of a buzzing fridge in the background, something which we had previously been blocking out. He told us that the amount of stuff we block out and ignore in everyday life is amazing. Stephen went on to explain that listening was not skills based and that we had different listening modes such as critical or empathetical. He said that men and women both tend to listen in different ways and that we should evaluate our listening position. He reminded us that listening is not about us, it's about the speaker so we shouldn't interrupt them. It was an interesting talk that gave me a lot to think about. Duncan told us that shared documentation was not the same thing as shared understanding. He said that testing is asking questions to squash assumptions. He went on to explain that even though test first development tries to understand the need, it could be the wrong software that is being created. As testers, Duncan wants us to ask questions of designs before code gets written and talk about testability. Duncan wanted us to not only question the idea, but also question the need and the why. 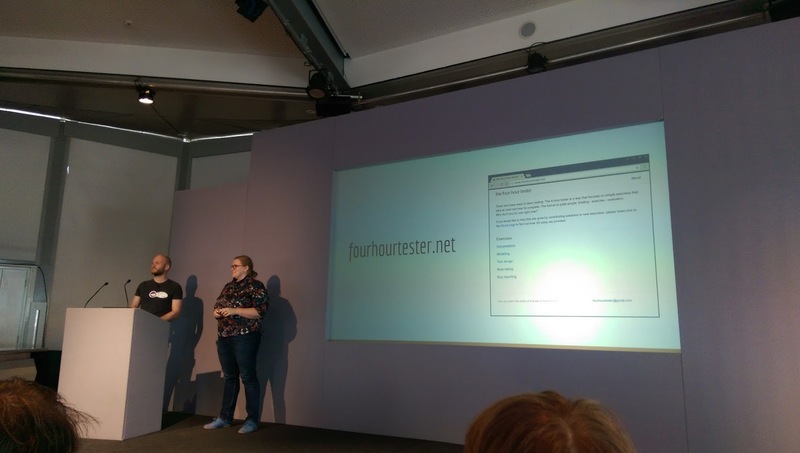 The four hour tester talk concluded that while it was possible to illuminate testing to some degree, it's not possible to learn software testing in just four hours. The question and answer session afterwards echoed that being unable to teach someone to test software in four hours should not be viewed as a failure as it demonstrates how complex testing is which in turn proves that it is skilled work. Very early on Mark informed us this would be a rant about BDD scenarios. A show of hands revealed that a significant number of people were using cucumber style "given, when, then" scenarios. Mark explained that we write scenarios, then try to implement them, then realise that we missed bits and that we need more scenarios. He reminded us not to go too far. He wrote each of the deadly acceptance scenario sins in given, when, then format. Mark told us that you can't specify love, but you can ask a loved one for declarative examples e.g. 'what could I do to make you feel loved?'. He continued that a loved one might say "Well you could email me sometimes or send me flowers". Mark explained that if we were to set up a cron task to automate emailing and ordering flowers online for a loved one, the love would be lost. He warned us that we shouldn't let scenarios become test cases and reminded us to put the human back in the centre of our automation efforts. Huib was exceptionally confident and chose not to stand behind the microphone stand but instead stood further forwards and addressed us directly. "I am awesome" he proclaimed, "Take note and be awesome too!" A video then played of The Script featuring Will.I.Am singing "Hall Of Fame". Huib told us about his background. He had started automating, then became tester, then became an ISTQB instructor. He went on to say that you wouldn't teach someone how to drive a car by telling them how but without letting them do any actual driving. Yet ISTQB doing this with testing. He said the most value comes when you put someone in front of software and let them test it. Huib said there was a difference between the kind of testing a business person might do and professional testing. 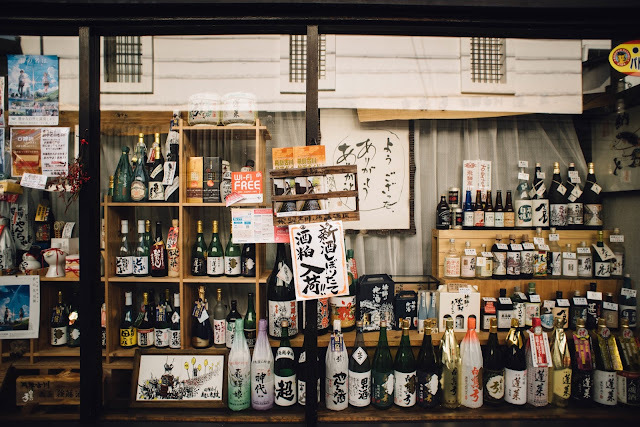 He confirmed that professional testers are professional learners and explained that if we do the same work for 10 years, we might not have 10 years’ experience, we might just have 10 lots of the same 1 year experience. During his talk, Huib said he really liked feedback so I tweeted him with a tip for the data in his pie chart. Huib wanted us to ask ourselves the following questions: Who am I? What are my skills? What do I want? What do I need? How do I get there? Huib's passion was so strong there were times I wasn't sure if I was listening to a tester or a motivational speaker. His talk was delivered with huge amounts of energy. It reminded me that there is always something new to learn and that receiving feedback is very important. For part of the conference, I sat just behind Huib with some testers from Netherlands and Belgium. During this time I learned that his name is pronounced like 'Hobe'. Gwen asked us if we can do load and performance testing in our test environments and reminded us that there is lots of room for error when humans carry out manual deployments. She dropped the f-bomb, repeatedly. 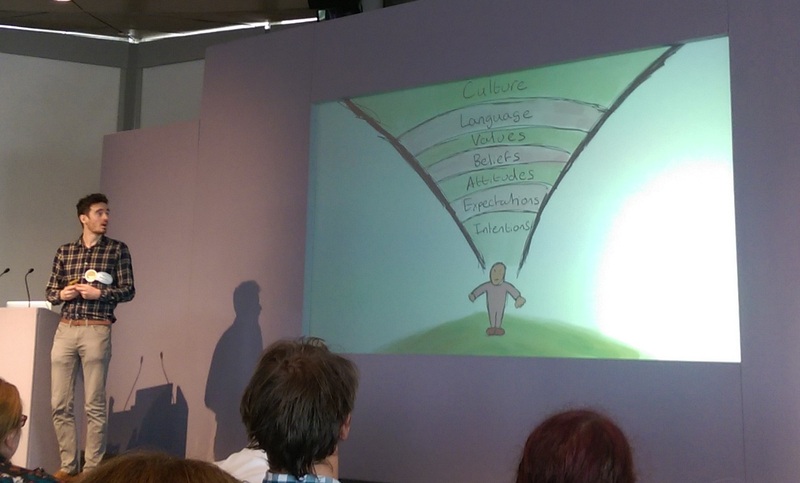 Gwen spoke passionately about monolithic test environments that do more harm than good. 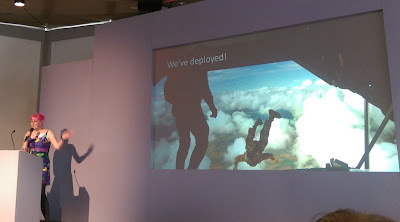 She talked about deployments and the inevitable OMG moments which followed deployment. During her talk, Gwen reminded us that monitoring is a form of testing. She also said to keep in mind that even when a company to does monitoring and logging well, it can still get liquidated if its products don't sell. Gwen's desire to make things better and do a good job was infectious. So much so that the first question asked after her talk concluded was "Would you like to come work for us?". My mind was blown. Beren spoke from experience about one particular test role he had held. They had called in the cavalry and enlisted the help of consultancy, but it soon turned into 'us and them' situation. It was September and they had to finish their project by December. He was a junior tester at the time and they had hired a QA manager with a strict inflexible way of working. None of the bugs were getting fixed so the testers decided to print out all the bugs, add pictures of bugs to them and cut them out. They then decided to create a 'Wall of Bugs' in the most visible place in the office, the entrance way. This was an extreme measure but management saw the problem and gave the developers more bug fixing time. Beren's story continued and went to some pretty dark places like how the QA manager mysteriously disappeared and how the testers tried their best to cope with increasing levels of negativity in their work place. Beren told us that he eventually left that job but he stayed in touch with some of the people that worked there. He said that exploratory testing is still not accepted as valuable there and the testers have to hide the exploratory work that they do. Beren said that he felt like he had failed and then he did something incredibly brave and courageous, a slide titled "My Mistakes" appeared and he told us where he thought he had gone wrong. Even though Beren is a new speaker I was enthralled by his story. I really hope he continues sharing his experiences with others as stories like his deserve to be told. 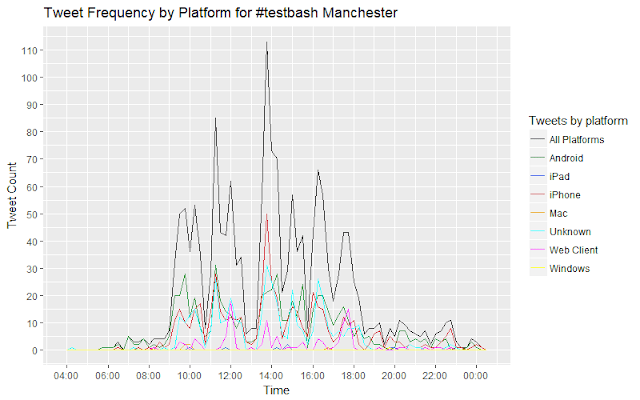 Test Bash Manchester was a resounding success. It felt really good to finally meet so many of the brilliant people in the testing community that I have only ever spoken to online. The event left me recharged, re-energised and brimming with positivity. Test Bash left me feeling like I was part of a giant, global testing family. I have so much love and respect for the software testing community right now. I'm really looking forward to Test Bash 2017 next year.